How would you like to get a $10,000 grant? What about a monthly $10,000 grant? Guaranteed? You can! Really! Your nonprofit can get $10,000 each month in the form of a Google Ad Grant. What's a Google Ad Grant? Google Ad Grants are $10,000 in-kind grants that are given to nonprofits for free advertising via Google Adwords. There are some eligibility requirements for getting started and also steps for maintaining your eligibility. Wait, what's a Google Ad? Google Ads are the top line advertisements and/or sidebar ads you see when you search in Google. You use Google Adwords to set up and manage your Google Ads. You bid on "keywords," then Google displays your ad when someone is searching for those keywords. Adwords uses a pay-per-click (PPC) model, meaning you only pay when someone "clicks" your ad. So $10,000 in free clicks can really add up. 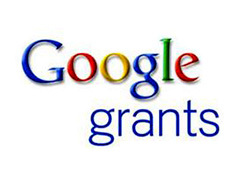 So, how do Google Ad Grants work? What do Google Ads do? Just like traditional advertising, Google Ads should generate interest. You want someone to learn more or do something. The beauty of Google Ads is that a user is only one click away from doing just that. Google Ads bring people to your website. And you want them to land on pages that will inspire them to take action. That sounds easy. Is it? Yes and no. Applying for the Google Ad Grant is easy. Making it work for you is harder.